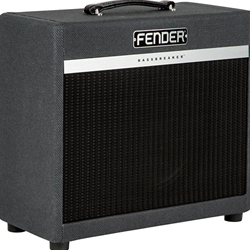 The BASSBREAKER 112 70w 1x12 In. Speaker Enclosure Is Engineered To Perfectly Match And Enhance Bassbreaker Combos And Heads. It Offers Rich, Resonant Voicing And Low-end Thump With Pro-level Performance For Today's Rock Players. Dimensions: 19.5 in. x 16.88 in. x 9 in.